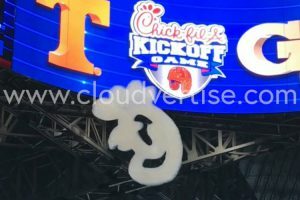 ATLANTA - Feb. 11, 2019 - PRLog -- New technologies are changing the traditional marketing streams for increasing brand awareness. Cloudvertise leads the way for companies that are determined to acquire greater visibility and faster recognition. Its patented floating clouds make an immediate impact at stadium-packed events without harming the environment.